Bollywood has essentially been relying on the old classic fable that there was once a king and an evil minister, says the veteran actor. 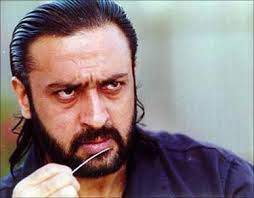 NEW DELHI: Veteran actor Gulshan Grover, fondly called the 'Badman' of Bollywood, says it's good that heroes are exploring the other side, but believes that a villain should be "beaten and humiliated" in the end of every film and not be glorified. "In my understanding, people are looking to be entertained and it is not necessarily dirty words or uncensored stuff. The series of 'Badman' gives this feeling that you make it with the intention to entertain and give good content to the audience, it will rise. 'Badman' has risen beyond our imagination from the internet and crossed boundaries and entered theatres of the rest of the world," Gulshan told IANS.